Are you sick of choking on those big points? Would you like to have a killer serve now? Are you collapsing after you get ahead of your opponent? Does your child look great in practice and choke when he or she competes? If your child gets off to a bad start in a match does he or she collapse? Are you losing your focus when the pressure is on? Are anger, self-criticism and frustration ruining your record? Would you like your child to be calm, focused and confident under pressure? 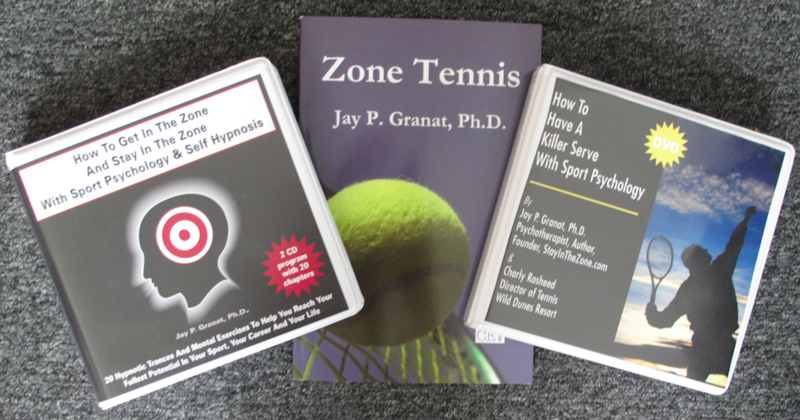 How much can your game improve if you get mentally tough and master the psychological aspects of tennis? 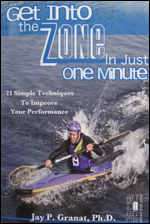 Would you like to learn how to get into the zone and stay there? New DVD, Book And Two Volume CD Program Show Tennis Players How To Get Mentally Tough, Avoid Choking and Play In The Zone. To win matches, you need a killer serve. 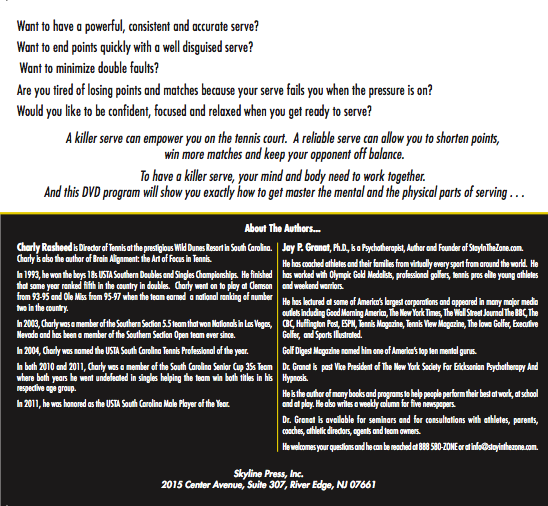 And this twenty two minute DVD will show you how to have a powerful, deceptive and reliable first and second serve. 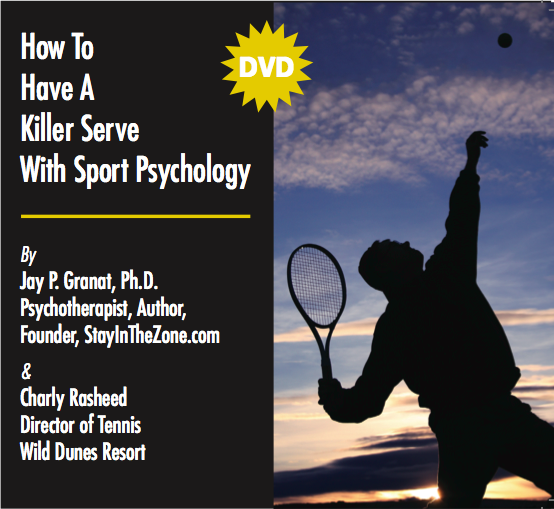 This DVD was developed by Charly Rasheed, Director of Tennis at the prestigious Wild Dunes Resort and one of the top tennis pros and tennis authors in the country and by Dr. Jay Granat, Psychotherapist, Author and Founder of StayInTheZone.com. Dr. Granat has coached elite athletes from every sport from around the world. 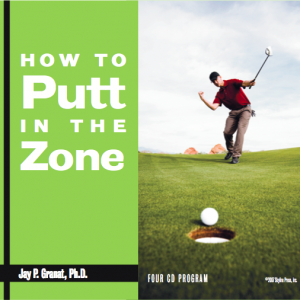 He has appeared in many major media outlets and has been named one of America’s Top Mental Gurus by Golf Digest magazine. The simple tips and easy to follow method in this DVD will elevate your serve to that next level immediately. How To Have A Killer Serve With Sport Psychology includes all the tips that a tennis player needs to know to control points and matches with a serve that is a real weapon. If you want to be focused, confident and relaxed when you compete in a tough match, you have to ease your mind into that right mental gear. 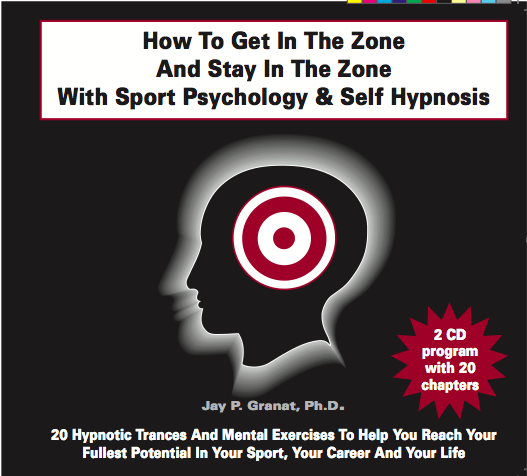 You need to know how to use self-hypnosis, meditation, guided imagery and visualization to train your mind to play in the here and now. 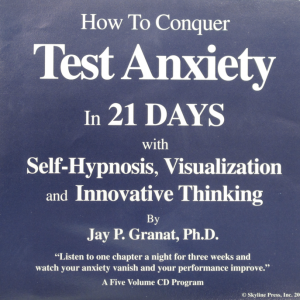 This two volume CD program contains twenty one exercises to quiet self-criticism, discover your inner warrior and play to your fullest potential. 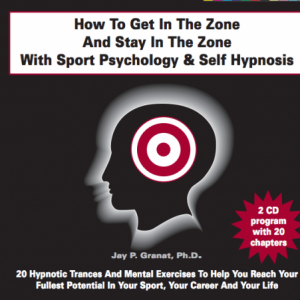 Listen to How To Get In The Zone And Stay In The Zone With Sport Psychology And Self-Hypnosis on your way to the court or prior to your warm up and you will learn how to ease your mind and your body into the zone. 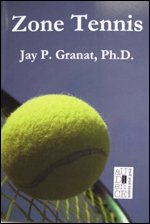 This easy to read guide will show you how to master the internal and external psychological factors that determine the winners of tennis matches. You will learn what your mind needs to on the court and in between points to play in the zone, stay in the zone and win more often.